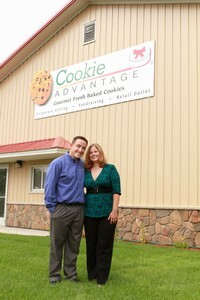 Cookie Advantage began operations in St. Cloud, Minnesota in 2004. Mike and Dana Hoffmann own and operate the company with the support of their 4 children, Alyssa, Ben, Emma and Tom. Having a family owned business leads to the high standards of quality and service that Cookie Advantage provides. Mike and Dana are passionate about the success and satisfaction of their customers, making it a joy to run a customer care and follow up company to help their clients obtain repeat and referral business while thanking their customers in a fun and delicious way.